On this day in 1916, Harry Aylesworth signed up in Belleville. He was born (and named William Henry Aylesworth) in Odessa on June 27th, 1888, the son of William Aylesworth and Jane (née Burley). He married Cora Hestella Carter in Demorestville on September 30th, 1908 and the couple had two children and had moved to Deseronto by the time Harry enlisted. Harry joined the 155th Battalion of the Canadian Expeditionary Force with the regimental number 636832. He was five feet seven inches tall, with a dark complexion, brown eyes and brown hair. His service record shows that he was transferred to the 21st Battalion after arriving in England. 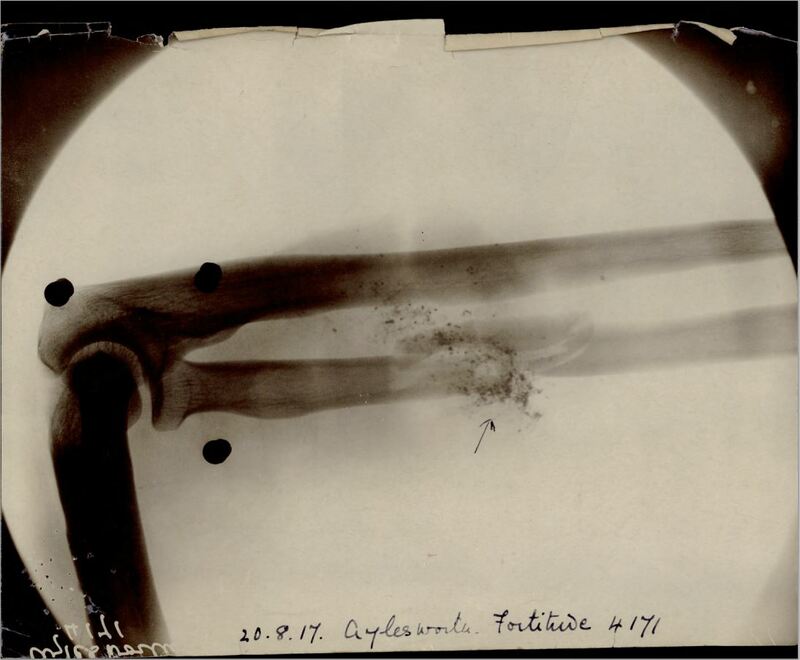 On August 9th, 1917 Harry received a gunshot wound which fractured one of the bones in his right forearm. There is an x-ray of the injury in his service file. The damage to Aylesworth’s arm was so severe that he was invalided back to Canada as unfit for further service in May 1918. He was living in Belleville with his wife and three children at the time of the 1921 census and was working as a letter carrier. He died on July 23rd, 1935 in the Prince Edward County Hospital in Picton due to complications from a burst appendix, aged 47.